DAVE PACK – DRUMSA great evening of easy listening jazz. It’s always a full house when Nick plays OJC so please arrive early to avoid disappointment. Nick’s musical career began at the age of 11 as a chorister at the Queen’s Chapel of the Savoy, London. At the age of 12 he took up the saxophone after finding an old instrument in the back of the cupboard at school, and by the age of 14 had decided to try and make a career as a professional musician. Nick worked his way through various youth bands, orchestras, sax quartets and big bands and, in 1991, went to study music at London University. Nick graduated from London University in 1994 having specialized in jazz saxophone, studio music technology and composition. During his time at there Nick was already playing professionally for a number of bands and orchestras and composing music for his own ensembles and various media projects. He also started teaching saxophone and took on several beginner students as well as half a day at a school. After leaving full time education Nick began working as a freelance sax, clarinet and flute player and also started building up his teaching work. He began teaching at Sevenoaks School (where he still works today, now as Head of Jazz and Contempoary Music) and also taught at St Olave’s School, Orpington (his old school). In 1996 Nick formed his own jazz quartet, NBQ, with a view to recording a jazz CD for the label Recorded Time. This CD was to be the first of 3 and CD four is currently in production. The quartet was intended for the studio only and had no intention of playing live however, they began to receive requests to play concerts and perform for other events. From this Nick developed NBQJAZZ.COM a small business supplying live music for events. After more than 20 years Nick is still enjoying life as a professional musician. 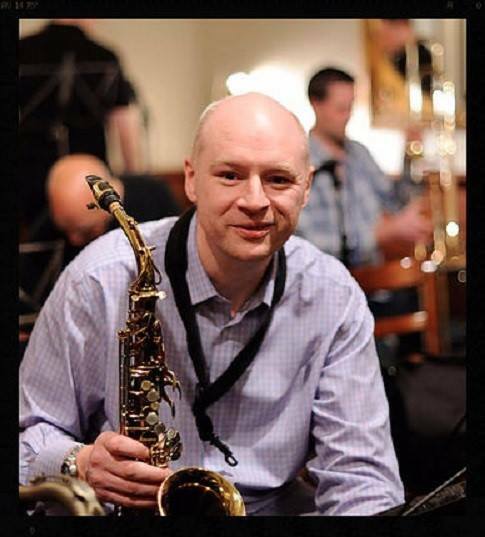 He has recorded sax solos for BBC, ITV, films, advertisments and many other bands and musicians. He has toured the world performing, composed music for education and media and also written a book for Schott Music. Nick lives in South East London with his wife and 2 young children and besides music and family life enjoys running, skiing and motorhomes.